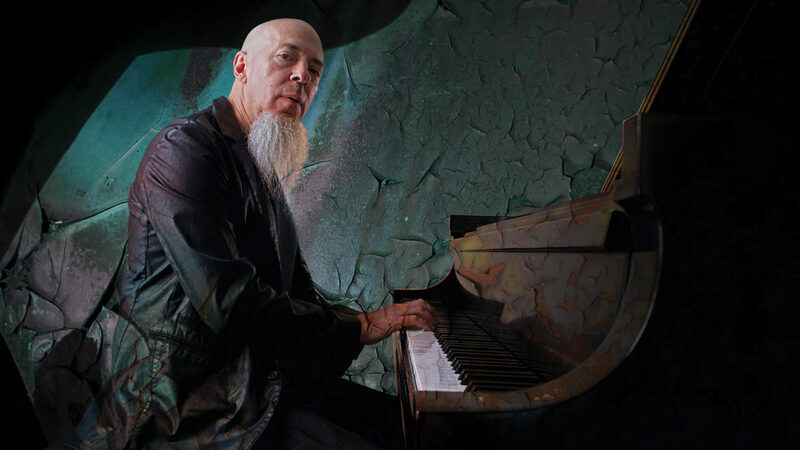 Jordan Rudess has been playing keyboards with prog rock/metal legends Dream Theater for 20 years now as well as releasing his own successful solo albums as well. Much has been written and said of Mr Rudess, his musically abilities and of course, in recent years, his award-winning apps that he’s developed with Wizdom Music. 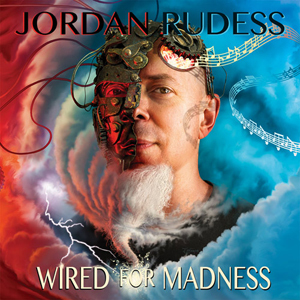 Wired For Madness is exactly what it says on the tin and has much to say about Jordan’s own musical brain. The album is just MAD. Jordan has finally found and made use of the bank of sounds his instrument hides from him in Dream Theater (the tone of Tom and Jerry Chase that has plagued DTs albums for over a decade). Opening with an epic 2 part title track (35 minutes in total) there is just so much music going on here that it’s almost difficult to keep up. Switching from pretty much every musical genre known to man (and even making some up along the way). It was an effort to get through and Labrie sounded amazing, even if he is only used for a brief moment in 35 minutes. Off The Ground, which features Jordan’s own vocals, is a nice soothing ballad that re-calibrates the ears and brain after such an onslaught. Although Mr. Rudess is not a singer, he can certainly carry a tune and pull it off. Even tho it does sound a bit karaoke bar. Drop Twist and Perpetual Shine are bonkers instrumental tracks. Jordan is playing it relatively safe with these tracks as they play to his jazz fusion strengths. These are the 2 go to tracks if you just need a quick fix of Rudess. Just Can’t Win brings in Joe Bonamassa with 2 jaw melting guitar solos as this track. This is nothing like what is on the rest of this opus. A full on blues style track, with Jordan on vocals and punctuated by a lot of brass. This is MY go to track. Just For Today is a stunning penultimate track. A highly emotive ballad before launching into the final track, Why I Dream. Jordan left the best til last. He has poured his heart and soul into this track. At a guess, with the way the instrumental section and the solos on this particular song is the way he envisioned Wired For Madness to truly sound and come across. Overall the album is good. Jordan’s vocals are fair, his keyboard skills are 2nd to none and were never in question and his songwriting ability is spot on. There’s just an awful lot of music in the first half of this album that was the hard slog.